We’ve set up our booth at Atlassian Summit 2019 in Las Vegas and are waiting to see you! 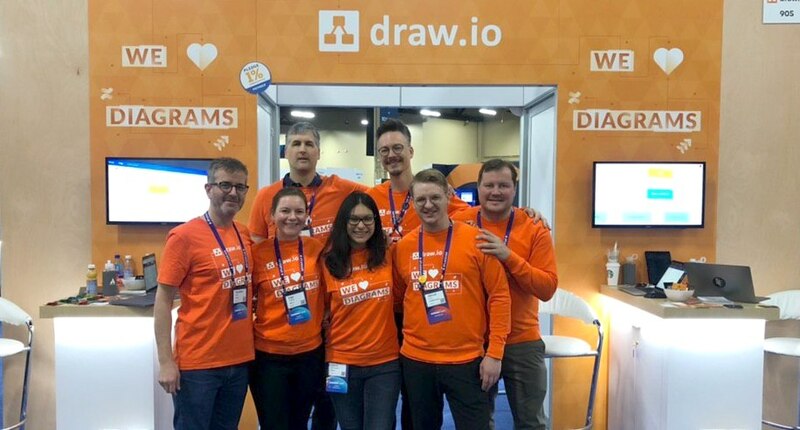 Our booth is right next to the entrance: see a demonstration, ask any questions you may have and pick our brains to see how diagramming is better, easier, faster and more secure with draw.io in Confluence and Jira. You might get lucky and score some good quality Swiss chocolate too! David Benson will be talking about how draw.io keeps your diagram data secure and private in his presentation today in Theatre Presentation Stage A at 2:25pm today at Summit. We love diagrams! That’s why we want to make it as easy as possible for you to create diagrams with a professional tool, and keep your diagram data secure and private. It’s no longer enough to just purchase any old app, you need to know how it affects your data security and privacy policies and review their EULAs. Don’t let your diagramming tools put you at risk: With draw.io and Atlassian’s tools you can be GDPR compliant, keep your data confidential, and use your diagrams wherever you want! 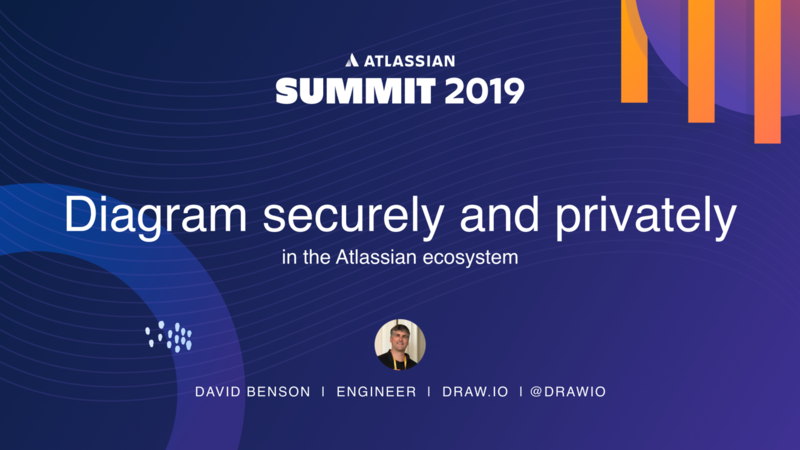 Atlassian has focused on data security and data privacy at Summit 2019, as seen in the opening presentation, which is a good thing! Your data should be stored and transmitted securely and privately, and that includes your diagram data. 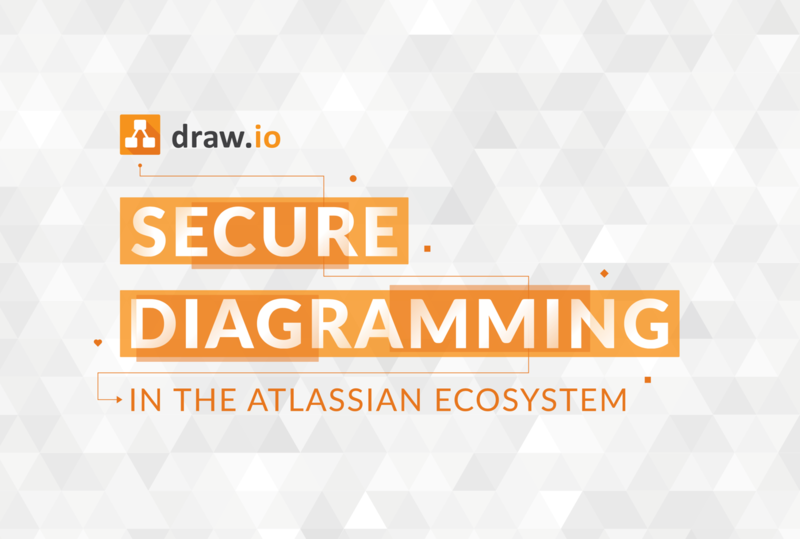 We’ve outlined just how secure draw.io is in our most recent white paper: Secure diagramming in the Atlassian ecosystem. Because your diagram data is only ever stored in your Confluence or Jira instance, or in your browser when you are working on it, no third-party ever sees it. This helps you comply more easily with the GDPR, or meet requirements for ISO certifications in secure data handling practices. Plus, because draw.io is open source software, you can check for yourself what API calls are made and what data is transmitted – open source is inherently more trustworthy because anyone can verify what data is actually transmitted! If your company is serious about protection, it doesn’t matter whether you use Confluence or Jira or Trello, Server or Cloud or Data Center, the draw.io app for Atlassian software tools keeps your diagram data secure and private.